On the vast, wooded grounds of St. Andrew’s School, in Middletown, you might find Joshua Meier wandering the trails traced into its 2,200 acres, much of which is a dedicated nature preserve. He is head of photography at the boarding school, and on its land, which includes tracts leased to farmers and Noxontown Pond near its center, Meier two years ago began documenting the “tiny deaths,” as he puts it, of creatures whose lives have come to an end. 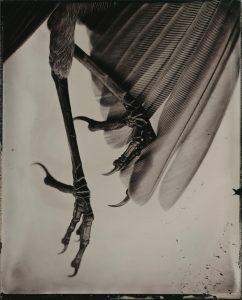 The project, “Ceremonia: Animalia,” whose images he submitted when applying for a fellowship grant from the Division, called on Meier to use a 19th-century process called wet-plate collodion. 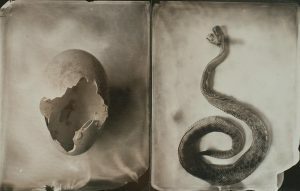 It demands both patience and urgency — whether using a plate of glass (ambrotype) or of metal (tintype), the photographer has about 10 minutes during which he or she must flow a syrupy gel across a plate, sensitize the coated plate in a silver bath, shoot an image and develop the result. Environmental conditions provide a cache of variables — fluctuations in temperature and humidity affect the image on each plate, as do the levels of acidity or alkalinity in the silver bath. Meier sometimes adds to the bath a bit of sugar or of citric acid, for instance, to make possible what he has envisioned. 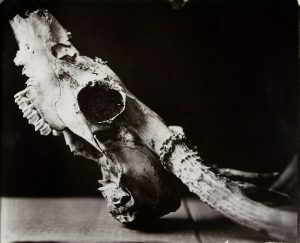 Imagine having to tote the trappings of a darkroom to the spot of a photograph’s creation. Imagine, also, producing a nearly instant photo as far back as the 1850s. He knows that few of his students, whose first cameras likely were tucked within cell phones, will go on to pursue photography. That’s not his goal. Meier grew up in Oklahoma; his wife was raised in Montana. 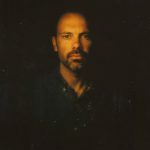 In 1996, when he moved to Montana, Meier attended Rocky Mountain School of Photography. Upon graduation, he assisted photographers of various specialties — architecture, fashion and commercial portraiture were among them — and began teaching (or, he says, learning to teach) photography. From the start, Meier knew he wanted to focus his own work on fine art. He has exhibited consistently during the past two decades. Today, he is head of photography at St. Andrew’s School, in Middletown. Montana has a vastly different landscape than the region of Meier’s youth. Delaware, too, is visually unique to him. He adapts, artistically, to his environment. The images he produces, and the processes by which he creates them, differ based on his location. The grant, Meier says, will go toward a project he calls “ROUTES,” inspired by his passion for bicycling. It merges photography with the GPS tracings that have become commonplace among people who track their athletic endeavors. He’s considering the inclusion of even more data — elevation, heart rate, etc. 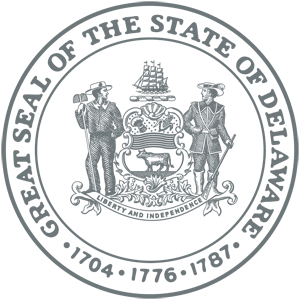 — and might represent that information by rendering those routes in three dimensions atop the images. “There’s a tradition in photography where we want to reproduce prints exactly the same over and over and over again, in numbers,” Meier says. “And I reject that in my work. I intentionally look for ways to make each print unique in and of itself. And so I’m interested in processes where there’s a lot of room for happenstance, things in the moment that you can’t predict and you can’t reproduce.